Wow, the ladies really need to step it up next year. Where’s the girl power? Although the lack of women does mean lots of eye candy. I mean, those dudes from Ravaillacz – whew! Anyway, before we find out who will fly the home flag in May, I thought it would be nice to go back in time and celebrate the best of the Class of ’12. Well, my personal best, at least. So here is a list of my most-played…eh, you read the post title. I’m ashamed to say that I didn’t expect much from lil ol’ Lisa, a stranger to me this time last year. 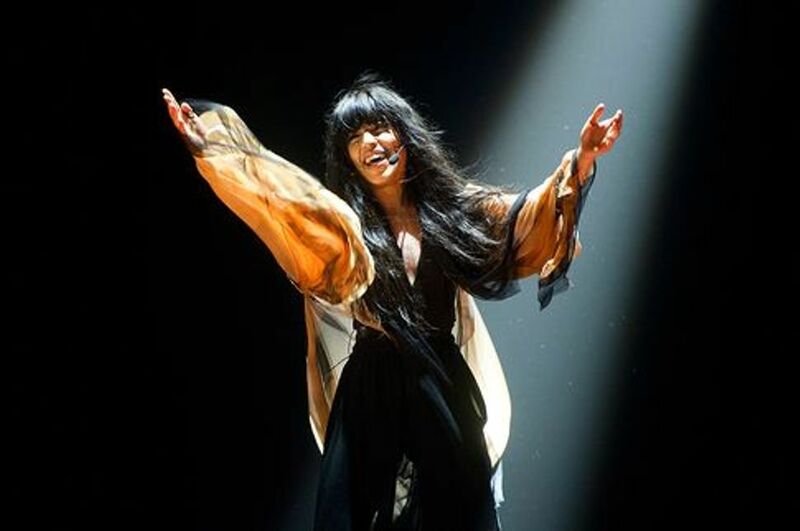 Her Melfest 2012 entry was the second-to-last to be premiered, and at that point I thought I’d heard all the amazing-ness possible, excepting Danny Saucedo’s aptly titled Amazing (remember the olden days when MF was of a consistently high standard?). But I fell in love with it immediately, and was a teensy bit excited when it qualified to the final. I would describe it as ethereal, atmospheric guitar pop, if I was über pretentious. Otherwise, it’s just awesome guitar pop…although we never do find out why we should start a fire. For warmth? To burn all the physical copies of Josh Dubovie’s That Sounds Good To Me we can get our hands on? Why, Lisa, WHY? This was more or less the same song Afro-dite went to the ESC with in 2002, which by 2012 was sounding majorly dated. But just because something isn’t contemporary, and you know it’s never going to go anywhere in a million years (unless there’s a sudden resurgence of disco schlager) doesn’t mean you can’t enjoy it. I actually like this a lot better than Never Let It Go. Sonja gave my hands-down favourite performance of Melfest last year. This is a ballad that begged for a great vocal, floaty dress, dry ice and a machine-engineered breeze to blow her chiffon around. Not only did we get all of that, but we got a bleeding bridge as well! Bridges are not used half as often as they should be on musical competition stages. Sonja sang her figurative pants off and commanded the stage, never faltering or tripping when a long hemline and all that mist would have made it so easy. I am very much an anti-fan of heavy metal, Lordi’s Hard Rock Hallelujah being the one song of that genre that I can stand. My main peeve is the ‘death growling’, a.k.a. incessant screaming, which makes my throat and ears hurt just listening to it. That very same screaming was part of DBA’s non-heavy rock entry last year, but somehow I got past it, probably because the rest is such a contrast. All in all, I think Mystery is probably what would happen if Mr. Lordi did guest vocals on State of Drama’s 2013 entry. He’s back this year with a very similar but not-quite-as-good chaotic dance track, is Sean Banan, and this time he’s wearing a diaper instead of fake body hair. I’ve always preferred fake hair myself. Say what you will about this hyperactive man-child – you can’t deny this song is an ear worm and a half. In fact, if you aren’t hearing it in your head right now there must be something wrong with you. Back in ’08 it would have been more appropriate for Charlotte to sing a song called The Extra-Terrestrial, but nowadays she is looking fierce in the best kind of way. Last year in Malmö Arena, she pulled out all the stops (and 95% of the planet’s spike appliqué supply) for what turned out to be an unsuccessful comeback, but one that stuck in my mind. The Girl took a step back from the straight-up schlager of Take Me To Your Heaven and Hero, which possibly freaked out some people who thought that was all she was capable of. Which Melodifestivalen 2012 entries are still racking up the plays at your end? And who do you think should win the 2013 final on Saturday night? Posted on March 7, 2013, in Melodifestivalen, Most-Played and tagged Charlotte Perrelli, Danny Saucedo, Eurovision 2012, Loreen, Malmo, Melodifestivalen 2012, Melodifestivalen 2013, Sweden, Ulrik Munther. Bookmark the permalink. Leave a comment.